Finally is the long waited SS4 Encore day! SMTown package tickets was for Day 2, I’m glad its for Day 2 cause usually their last day concert will be the longest and more enjoyable..
We start off the day with breakfast at Kona Beans.. So this trip I got to bring my sister there, I’m such a direction idiot..
Lucky I went to ask 1 of staff in a cafe for direction, if not we going to waste more time looking for Kona Beans..
Reached there, the queue was quite long! 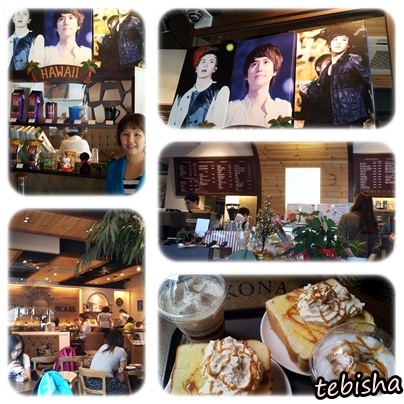 As its SS4 week, a lot of overseas ELF will make use of this opportunity to go Kona Beans and try out their drinks & food..
We wanted sandwiches, but its SOLD OUT! Ok, its like 10am and all the sandwiches were sold out. 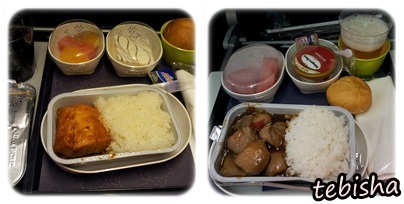 The only food available was Honey Toast… We got no other choices to have that.. The drink I had was Caramel Macchiato its the same as what I had in my previous trip.. But this time its tasteless. Maybe there’s a lot of customers on that day and they were rushing out the drinks, that’s why its not up to the standard. After breakfast at Kona Beans, time to go concert venue! Olympic Park Stadium, we can get there via subway its located at Olympic Park Station (Line 5). 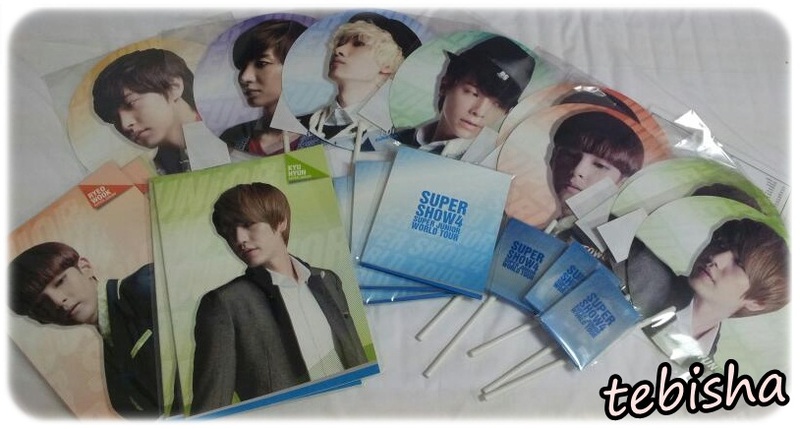 When we reached there, there’s ELF giving out Kyuhyun handheld banners and Fan for Kyuhyun Debut 6th Anniversary project. Sky is getting dark and started to pour! We got no other choice had to go the convenient store to buy umbrellas. Lucky, it didn’t rain for too long, we quickly went to check out the counter to collect our concert tickets. But SM Staff will only arrive at 1pm.. I went to collect my official goods which I pre-order through the web 1 week before..
Its great that they have this pre-order thing, I don’t have to queue there early and worry for any sold out items. Met a few SG ELF at the ticket counter, its nice to know that quite a number of ELF went to Seoul for their concert! After collected our tickets, we roamed around there, collect free photo cards from some fan bases, watch Korean ELF flash mob, take pictures with Siwon Standees, etc..
We can go into the stadium 1 hour before the concert start time. Came to the shock that our seating was actually 1st row of the block! Me & my sister were like OMG! OMO!! Can’t believe this awesome seating we had! 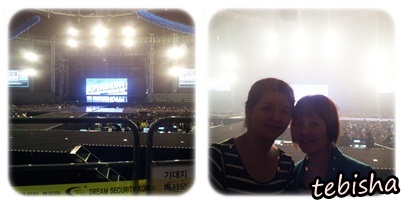 Our last best seating was at SS4 Singapore, 1st row of the extended stage! And this seating was much much more fabulous than SS4 SG! As usual, the concert was superb awesome! Although, I couldn’t understand what they were talking all the time but I still enjoyed myself! Some members even had eyes contact with me!!! I will not forget the moments! Oh yes! If you followed me in twitter, you may seen my tweets about those aunties seated behind me..
There’s 4 SG aunties also went for SS4 Encore, they were seated behind us. I was very disgusted by her! She’s not those slim type of person, there’s a few time when SJ members went behind the seating on their carts, she like standing all the way and blocking people behind to watch the performance on the main stage! Damn inconsiderate! Super lucky that we were seated in front of her if not I’m going to curse and swear during the concert..
Concert ended around 8pm+, we got to do our very last minute shopping at Super Mart before heading back to Singapore the next morning..
We went to Lotte Mart at first but unfortunately, it was closed temporary for renovation. Change our venue to Emart near Seolleung Station (Line 2), its about 10 mins walk from the subway station. 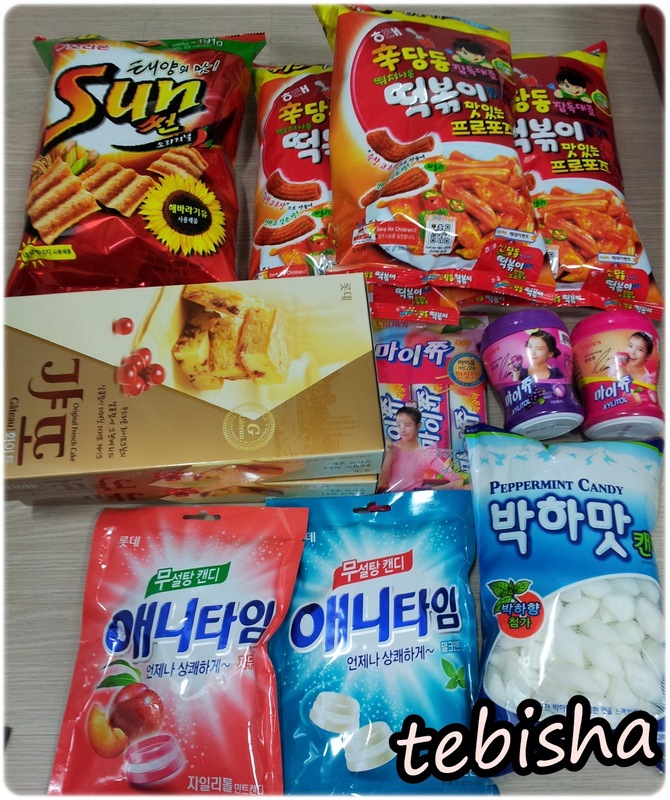 Got all the food stuffs we wanted and head back to our hotel for packing..
We got to wake up really early like 5.30am and take 6.00am airport limousine to Incheon Airport for our 10am flight..
My last meal in Korea, was at Airport, Kimchi Soup! It tasted superb! 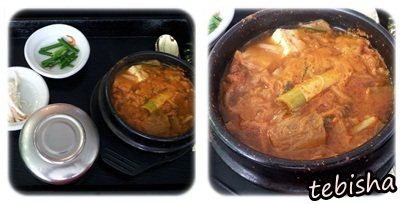 Till today, I still miss the Kimchi Soup.. Super yummy!! Head back to SG via Cathay Pacific transit in HK.. I miss my boys so much! 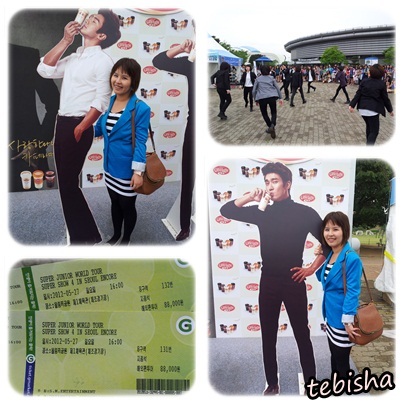 I will go back to Seoul again for their Super Show 5!